Top 10 Signs You Might Be A "Weblebrity"
1. You have signature clothing such as a certain T-shirt, hat, tie, sunglasses, boas, and occasionally ascots. 2. At internet parties people follow a "drink for link" policy—they buy the drinks, you provide the links. 3. Your internet friends treat you like a star while your real friends tell you to go F@*k yourself. 4. You stopped thinking about yourself as a person years ago. Now you're a "brand". 5. At family gatherings you receive regular taunts like "can the internet superstar please pass the casserole??". 6. You've considered getting your Facebook photo shot professionally. 7. Total strangers you meet at conferences know more about you than your significant other. 8. You fight back the urge to say "do you know who I am?" almost daily. 9. People actually think you're friends with Scoble. 10. No-one in the real world has ever heard of you. Memo From A "Mad Man"
When "Mad Men's" characters arrived on the scene the program's creators moved to have the "unofficial effort" shut down. After thinking about how to analyze this latest example of how the internet creates it's own rules, I decided that the creators "We Are Sterling Cooper" have said it best. Maybe you should take people like them more seriously. "Fan fiction. Brand hijacking. Copyright misuse. Sheer devotion. Call it what you will, but we call it the blurred line between content creators and content consumers, and it's not going away. We're your biggest fans, your die-hard proponents, and when your show gets cancelled we'll be among the first to pass around the petition. Talk to us. Befriend us. Engage us. But please, don't treat us like criminals. This site exists to catalogue the conversation around AMC's Mad Men and its fanbase across the social web. But it's just the beginning. 'We are Sterling Cooper' is a rallying cry to brands and fans alike to come together and create together." Sometimes it's worth listening to a mad man. OK, let's get this straight. For the past couple of years we've had a great time talking about the merits of conversation, transparency, authenticity, facilitation, participation, and blah blah blah. Having talked about "The Conversation Economy" myself—I'm no exception to the "BLAH". So, we get it—and now it's time to get down to business. From my vantage point there are a few things going on at once, so here's a few thoughts rolling around in my noggin. I won't go too deep here, we know what the deal is. Many of us are spending countless hours managing our profiles, uploading our videos and photos, creating personal brands and generally yakking our heads off. Oh, and we're also using social technologies to collaborate remotely/more effectively and yadda, yadda, yadda. It's not going away, it's not a fad, and yes it changes how people want to interact with both individuals and in some (but not all) cases, organizations. Some organizations have invested in creating internal communities to either help break down silos or bring in external viewpoints that they can enjoy from the safety of their secure environments. Much of the interactions here mimic many of the things we see on social networks. People have profiles—wikis can be used for collaborative editing, discussions can ignite around relevant topics and of course information can be shared. The internal part is important because it keeps the interactions within the business, which aligns with most corporate cultures. But the benefits are similar to participation in social networks—the operative word here is participation (Sorry, I couldn't resist). The third leg here in the stool may actually be the most critical and difficult to manage. Most organizations are moving toward an external presence that consists of multiple sites, microsites, banners, blogs—you name it. Anything that gets "launched" ends up in the digital ether and is either maintained or neglected. Many of these properties interconnect and depend on one another. Some come and go and some just litter the Web. 1. How will these initiatives relate to one another? 2. Will they be able to scale at the same rate or will some pull ahead of others? 3. How much redundancy will occur between them? 4. Will new tools need to be developed to coordinate internal/external and social activities? 5. 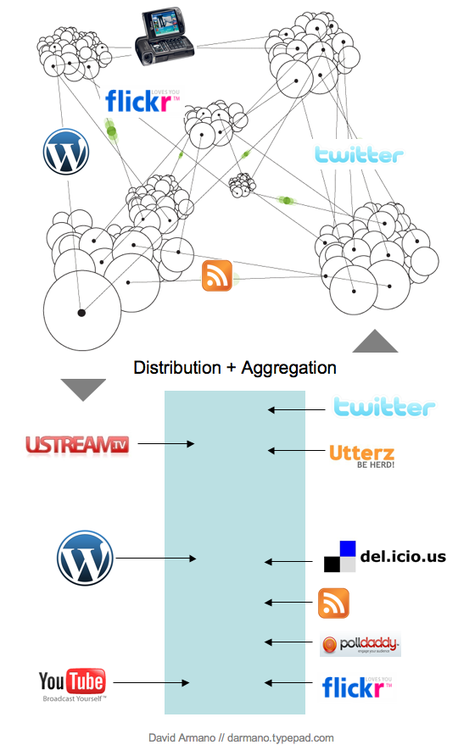 What platforms will best be served for research vs. communication? 6. Which systems will demonstrate the most flexibility to adapt? Right now, I'm mostly in question mode. Just seems to me that as all of these wonderful changes take place, there is going to be some type of maturation process which requires a bit of orchestration that moves beyond evangelizing the need for "conversation". Would love to get your thoughts on this one. Next week I'm off to Proctor & Gamble (a Critical Mass client) to do a talk and participate in a day of internal work sessions that will be attended by approximately 400 P&G employees. P&G is taking the rise of social networks and how this is influencing consumer behavior pretty seriously and that will be the theme for the day. I've been participating in their internal "Social Media Lab" where there are a lot of ongoing conversations and sharing going on and I've found it to be quite insightful. Deb Schultz has been working with Procter & Gamble in this initiative. Rumor has it, that there will be a karaoke meetup in Cincinnati on the evening of 9/3. For more details follow me on Twitter. I'll be doing a 20 minute talk at the Chicago New Media Summit which is a first ever event of the likes in Chicago. If you are in the area, this might be worth looking into. I'll be joining an all star lineup for OREILLY's Web 2.0 Expo held in NYC. This is one I'm really honored to be a part of and I think I'm looking forward to listening and learning than I am talking. as they are to look at and hold. as a tie-breaker. 4. In football, the player who drills it though the uprights when the game is on the line. to a story or chapter. 7. In product design, a consulting firm that smashes through convention." Best of luck to Dan who is is a fantastic contributer to the field of interaction/experience design. Dan will also be speaking at agency R/GA in NYC on September 17th. I'd suggest you go if you can make it. Upon arriving back home from a week-long vacation, I was unpleasantly surprised to return to a house with no cable, internet or phone service. This came at especially bad timing as my wife had recently lost her mobile phone. After calling our provider (Comcast) and getting a generic message about an outage, (post navigating through the confusing phone menu) I opted to wait it out for the afternoon as the recording recommended. By evening we had no service and after waiting on the line again I had finally gotten through only to get the expected "we'll send a technician between the hours of..." message. The Comcastic puppets couldn't put a smile on my face at this point (actually, they've always creeped me out), but Frank—a Comcast employee who provides customer service on Twitter did. Within a few minutes on a Sunday evening, Frank responded to my complaint letting me know that it was most likely not an outage in my area, but a problem at my house. He also guided me through a process that would have fixed it (if I had a amplifier vs. a splitter), but it was still nice to get the education on the difference, not to mention the personal touch delivered through what is supposed to be an impersonal medium. I've spoken about at length, the real opportunity for organizations looking to figure out how to tap the power of the social movement lies on the experience side more so than the marketing. Whether it's consumer or enterprise, companies can gleam insights from customers and actually extend the customer experience as I've outlined in my story, Critics may say it's a waste of time—especially when tapping relatively small networks such as Twitter, but I believe this is a strategy built of fragmentation and niche value vs. mass appeal. Digital channels have evolved in to infinite touch points meaning that technology has permeated our lifestyles in a very organic fashion. Networks offer us a glimpse of what the potential is for companies to provide better experiences in an automated age. If I have a problem with my Comcast service—I'll probably ping Frank again. You might make a phone call, but a good experience at the root is built on empathy and understanding how people want to interact with you. Franks knows that while I don't use my phone as much as I used to—I still crave human contact and a helping hand. Nice to know I can get it in a way that aligns with my lifestyle. I'm hoping to bring the gospel of micro-interactions (vs. advertising) to SXSW, but will need your help if you'd like to see me there. If that sounds good to you, vote here. Lots of other great panels as well. Here's a few you should look at. There are many more—too many to mention, if you have a panel that you'd like to get some exposure to, please leave a link in the comment section here and I promise to get it out on Twitter. Hope to see you in Austin! I've decided to put a few choice samples of the visual thinking I've done over the past few years on Flickr. The set can be viewed here. If you've been a regular reader, then you know that the visuals are what helped me build a following—they are my "purple cow" so to speak. I encourage their use in presentations, blog posts etc. as long as clear attribution is provided. Many of you have done this, and it's why I continue to share the artifacts digitally. The consolidation on Flickr is where I'll continue to upload what I think are some of the best in .jpg format. At some point, I'll figure out what to do with them—I have a few ideas but not enough time. Any ideas from you? Thanks again for listening, reading and referencing my stuff. Hopefully the aggregation is useful and helps you in some way. If you're not a fan of my "brand" of visual thinking, that's totally OK, there are lots of others who play in this space and I recommend the folks at Xplane, or Dan Roam for different approaches. The role of all types of designers is being grappled with by many organizations. I recently recieved a heads up from (former) Forrester Analyst Kerry Bodine who announced that she'll be leaving Forrester to build an experience design practice at advertising agency Hill | Holliday. I am not suprised at all by moves like this as I've been talking about convergence for some time. Marketing, design and "branding" are on a violent collision course as communications, experience and messaging become indistigusible to the average customer/user. It's going to get interesting to say the least. 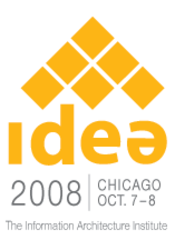 Hope to see you at IDEA. If there’s one type of headline that gets attention—it’s about claiming the death of something. Well, I’d like to proclaim the “un-dead” nature of a format which I think has the potential to become something more powerful than we are currently seeing today. The Micro-site first became adopted by the marketing community as a tool of convenience. It simply became too unwieldy to continue adding sections to our large company/product Websites every time we wanted to promote a new product, feature or service. And specifically for advertisers—well, they needed an online extension for their campaigns to live in the digital space. And so the formula had begun. Launch a campaign, build a micro-site, buy online media to drive traffic to it. Everything was in it’s place—advertisers now had a presence on the Web, clients were happy about it and the big money was still being pumped into the traditional channels because that’s how it’s always been done. 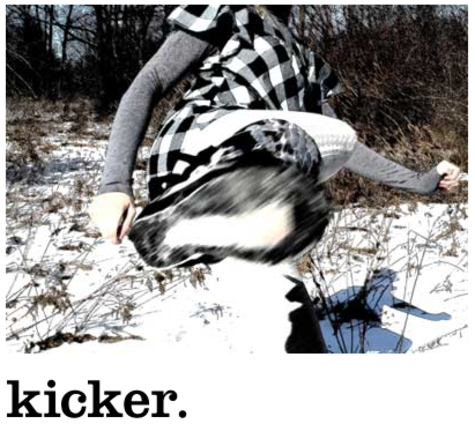 In the past year lots of us have had a grand ol time proclaiming the death of the micro-site, and with some validity. Fact is that the internet is littered with thousands of them, and the majority are either promotional in nature, designed to win awards vs. serving up value or simply provide no incentive to ever return to them. On top of that, most of the micro-sites I come across are difficult to use, take WAY too much time to load, crash my browser or use contrived marketing language written by professionals who have spent years perfecting their craft. The reason micro-sites have come under fire is because the “amateurs” have provided more compelling experiences in many ways. Sorry, it’s true. If you Google a product name, it’s not uncommon to come across a blog which has reviewed that product and is ranked higher than the professionally produced micro-site. How do you think Engadget became so wildly popular? Still, I think the micro-site format has legs. Here’s why and here’s what we can do differently. Where I see the opportunity for micro-sites lies behind simple human behavior in the digital space. Think about how the typical person interacts with digital media. My friends and family outside of the industry still send me links via e-mail. Simple copy and paste—the lowest barrier there is. Most “regular” people I know still bookmark WEB PAGES. They aren’t managing multiple feeds, readers and social bookmarks like I do. I am not a representative of mainstream digital behavior. I don’t have numbers to back this up, but going on intuition and personal experience, I’m fairly confident that this is the case. Think about how you use the Web. For all the talk about mobility, widgets and portability my guess is that you still spend a lot of time on simple, good old fashioned hypertext WEB PAGES. Micro-sites have lost some luster not because of the format, but because marketers and everyday people don’t often think alike. We the people are looking for something we can use, and instead get a lot of bells and whistles which don’t reward us for our time. Next we have to ask ourselves why formats like blogs, social networks and other manifestations of emerging digital media have become so popular. Blogs look nothing like micro-sites. BUT, what they have in common is the delivery. Web pages—pages that can be bookmarked and e-mailed among other things. And they offer niche content, lots of links and of course the ability for people to talk back. Long form content is the new design language—I have become a convert. Debating the above-the-fold argument is a moot point—we should start channeling our energy into debating how we can provide VALUE to users who are clearly getting it elsewhere. I propose that we breathe new life into the micro-site format by fundamentally re-thinking it. Look at the visual above this post. What if micro-sites evolved into content heavy, long form Web Pages that aggregated not only your own content, but content from any place you could think of? Instead of being concerned about linking away from the “site”—that would be one of the primary objectives. I’ve found through my own experience in social networks that if you link to others and do the legwork of curating relevant content that people remember this, and guess what? They actually come back for more! Micro-sites can deliver this, simply because the format consists of Web pages and links. We’ve just over-engineered the whole enchilada. Take a look at Lenovo’s Voices of the Olympic Games. The content actually lives across multiple platforms—and it’s all about content. Producing it quickly, updating it, uploading it via the popular networks which fuel the long tail. It looks nothing like a micro-site but if you break down the components, it’s still a Web Page, or at least that’s one of the main components. The core difference is content and distribution, Traditional micro-site thinking has marketers writing the copy, designers and developers building the site and a launch date followed by a maintenance plan. But if micro-sites begin to evolve into more “blog-like” experiences, they can quickly be launched, edited, refreshed, and have all the flexibility in the world to pull in the open source 3rd party applications which are pervasive on the Web. Events can be live streamed, photo galleries can live on Flickr, video galleries, on You Tube. And there’s a tremendous opportunity to actually embrace users who are generating their own content about your products. You can make them the star—and they’ll probably link back to you in return. The difference isn’t in the technology as much as it is in the mindset. In order to pull this off, we’ll need to think more like bloggers, uploaders, journalists and mash-up artists than marketers, copywriters and designers. Take a look at what 37 Signals does when they live stream video—it take very little production value to achieve this and the result is a sort of direct engagement which users on the Web are craving. Like anything else, what I’m proposing isn’t a silver bullet, and it would take big mindset shift for many organizations to pull this off. But, it’s worth looking into. I recently came across a micro-site for HP featuring Shaun White, and not being the demographic I really can’t judge if the site experience makes sense, but I did notice one thing. The site had clearly embraced a more “2.0” approach by offering multiple social bookmarks. But if you actually bookmarked a video, returned to your link, it took you to the first page of the micro-site where you are greeted by Shaun’s talking/dancing avatar. You have to dig up the video all over again. I’m not a 20-something but I have a hunch this would piss them off. But I don’t blame the format—if that video was worth sharing, a simple URL could have sufficed. Better yet, getting involved in the comments about it would take things a step further. It’s probably a good time to re-think what the experience of a Web page can be—I think the simple format has a lot of potential, if we just look at things with fresh, new eyes. When the CEO of Zappos, whose Twitter presence boasts around 10k "followers" started using Twitter, the first thing he did was to start giving away stuff. Some of it was products—but much of it was customer service related. The employees at Zappos use Twitter as part of their customer experience. They are generous with time and resources and fairly responsive. If you are trying to extend your influence in a social network like Twitter, you have to be willing to give something of value away without expecting anything in return. If you do it right, you'll get get a following. When Dell gradually empowered what is now dozens of employees to engage with customers, consumers and industry people—they obviously put in a policy of transparency where it's immediately clear that this is a Dell sanctioned employee. Brands and organizations who want to build trust on social networks like Twitter are best served by revealing who their people are—or at lest being transparent about when asked. 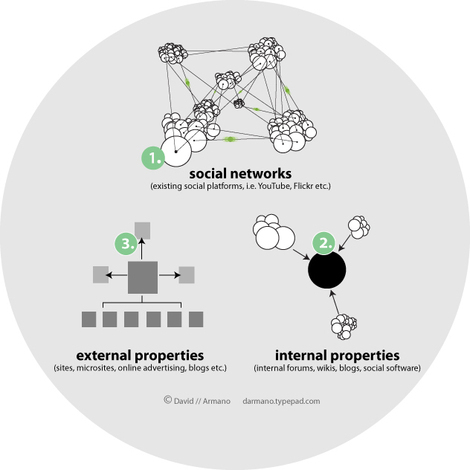 Individuals power social networks—not faceless corporations. 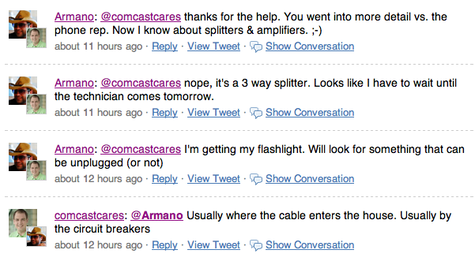 When Frank, a Comcast employee started using Twitter, he began helping people as best he could. Comcasts presence on Twitter is now a "micro customer service" platform. Small in size, but generating positive buzz, PR, and word of mouth for the organization. If you want to leverage a platform like this, you can't come in talking about your brand—you have to add value from day one. If you're not ready to do this, you may want to try something else. Following conversations on Twitter is like following conversations at a lively social event. But you can still be a good listener. Search.twitter.com allows you to find out what people are saying about your brand—but even more importantly it's worth finding the people on Twitter who are NOT talking about your brand but ARE talking about the passion behind it. For example, if you are an sportwear company, see who's talking about running or baseball. If you are a food brand, see who's talking about diet and/or exercise. Talk about the things people care about—not yourself. Context in social networks is everything. If you come out of the gate talking about your products out of context, you'll come across as self serving and get tuned out. Offer value first—prove that you are listening and do something that no-one else is doing. Then you can talk about products, if it makes sense in the right context. You'll be surprised at how we'll be willing to hear you out. But it takes a serious investment to soften the ground before inserting the product. These are just a few guidelines that I'm offering from my perspective. I didn't get them from Forrester or any other analyst firm—they are what I think works as a frequent user of the service. I've used Twitter as an extension of my "personal brand". I share links, talk to people and in general be myself. In return, I've built relationships which transcend digital limitations and get insights into human behavior. If you want to see how I use Twitter, you can follow me here. If you are thinking about putting your brand or company into this space, I hope this information helps. Logic + Emotion, In Your Pocket. I've optimized this blog for mobile consumption. If you're interested in getting it on your phone as something you can bookmark, point your mobile browser to http://armano.mofuse.mobi. One of things that consistently amazes me about the evolution of digital is the speed and accessibility which we have to insert our selves into the lives of the people we want to connect to in ways they prefer. I've been digesting content on mobile devices for years—well before getting my iPhone. The iPhone just makes it a more enjoyable experience. I'm fairly confident that this behavior is something we'll see more of as the mobile experience gets better. We're all so busy now, that sometimes it seems like the only time we have free to catch up with friends or read up on articles, blog posts etc. is when we are on the go. Personally, I love reading content on my iPhone—it feels more like opening up a small book and casually flipping through the pages vs. sitting at my desk doing research. I'm more inclined to soak in information when I'm in a relaxed state, which these days is away from the desktop. Enjoy the mobile version of L+E. It should work on any mobile device. If You Can't Beat Them, Be Them? I did the above visual not long after I first started blogging. While I illustrated a specific type of scenario (think Dell Hell or Comcast sleeper etc. ), my point were that traditional and non-traditional media co-existed and had to be factored into how a company deals with the public. More and more, I'm wondering if it's possible for organizations to act like the individuals who are often times beating them at there own game. If people like Robert Scoble are beginning to feel like a one-man media machine (never mind social media—he's transcended that), then is it possible for the reverse? Can companies emulate what individuals are doing and gain credibility for it? Just hours ago, there was a huge explosion in Toronto which to no surprise began getting documented by everyday people using tools such as YouTube, Twitter, Flickr, etc. while the mainstream media outlets have to react a little slower to ensure that A. the story is newsworthy, and B. the story is factual. These things ensure the credibility of an organization, especially in the media business. But everyday people are now providing indisputable value when they document events like this. We're more forgiving of the inaccuracies if there was something of value in what the individual provided, whether it be media, a perspective or thought. It's the credibility of the individual that is at stake if we end up being misled and it actually helps traditional media as we look to it to validate. So breaking news aside, can organizations be as fast, nimble and responsive as an individual? Can the people who work within an organization emulate the behavior of people who are naturally inclined to produce content and document events. Should organizations/brands/companies even try? What do you think? Who's doing this right and who's doing it wrong? 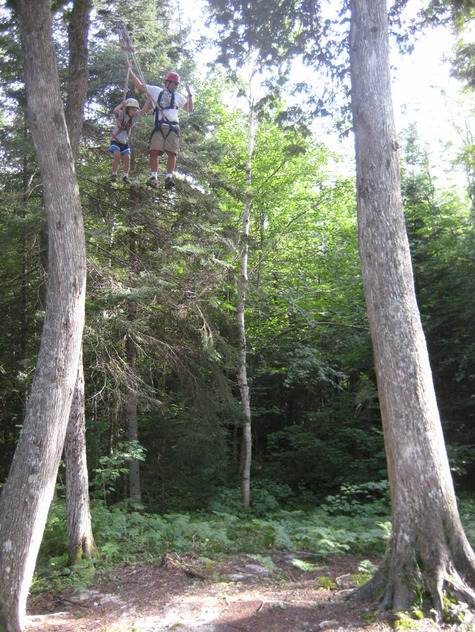 Standing on a telephone wire hooked up to a couple of trees suspended 30 feet above the ground can give you a new perspective—even if it's after the fact. When my seven-year-old expressed his reluctance to move forward, I said what came natural. In retrospect, the first thing I did myself was to look down. That's right, I found it impossible not to and it was the opposite of the advice I was giving. The hard part wasn't avoiding the temptation—it was deciding that I wouldn't be paralyzed by it. There's no point in pretending that the reality of your situation doesn't exist because it does. It's better to embrace it and then take the next step in a direction that moves you forward. We just can't linger on that moment that we look down and realize the gravity of our situations. Look down. Then quickly move forward. 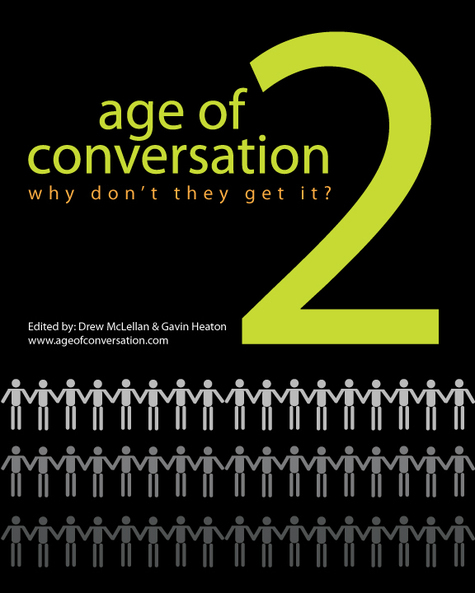 So here's my first pass at the cover design for the upcoming sequel to the Age of Conversation. If you don't know the story, the first copy raised nearly 20k for Children's Variety Charity and the books feature single page perspectives from dozens of voices who are active participants in online communities and experts on topics ranging from marketing to design to social networking.